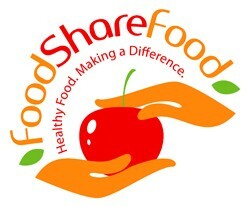 Food Share Food was recognized recently in the Lake Forester. Here is the article below. Faced with no summer job, college sophomore Karl Morcott of Lake Forest decided to create his own. In the process, Morcott, 19, has employed his three younger siblings and a friend each. He’ll also help the Lake Forest Farmers Market get more exposure from first-time buyers and provide farmers who sell at the market a guaranteed sale. To top it off, Morcott will donate 40 boxes of fresh produce weekly to charity. Not bad for the first-time business owner of Food Share Food. Morcott, an undeclared major at Vanderbilt University, started brain-storming on what he could do over the summer at the end of the spring term, with help from his dad, Scott Morcott. “I didn’t have a plan for a summer job — nothing set in stone,” Karl said. He was intrigued by his family’s share in a similar organic fruit-and-vegetable service a few years ago, however. Karl and his dad, who has started his own health-related businesses, thought purchasing fresh items from Lake Forest Farmers Market vendors would be good for them and give his company a ready supply of fresh product. The vendors don’t have to worry about losing former customers, because Karl only sells to non-farmers market clientele. Each team member had a sales quota based on age. Almost everyone hit their mark, and the shares sold out quickly. Starting Saturday, Karl and his white-shirted team of Lake Forest teens and middle schoolers will deliver fresh vegetables and fruits to families who have bought a share in Food Share Food. Families opted to either pick up their share during the farmers market or sign up for doorstep delivery. “The coolest part of Food Share Food is for every two boxes we’re able to sell, we’re actually getting one free from the vendors that we’re going to deliver to needy families of North Chicago,” he said. Karl worked with Lake Forester Jennifer Grumhaus, who heads up North Chicago Community Partners, for a delivery of 20 boxes for the Family Care Closet located at North Chicago Community High School. He’s also working with two churches to supply them with fresh produce for their food pantries. Since food pantries typically cannot store fresh produce, they rarely have it. But Karl’s idea will provide a number of families with farm fresh, organic fruits and vegetables this summer. Economic Development Coordinator Susan Kelsey runs the Lake Forest Farmers Market and was enthusiastic about the Morcotts’ plan from the start. Karl is learning firsthand what it’s like to launch — and grow — a business. You can read the article online at the link below!